An anonymous telephone call is the best way to provide tips and information. We are available 24 hours a day, 7 days a week. Our staff members are skilled in helping you recall and provide the most useful information. You can call us at 954-493-8477(TIPS). No phone tracking software or Caller ID is used. Tips submitted online are encrypted, entirely confidential, completely anonymous and immediately and securely transferred directly to Crime Stoppers using P3 Software. Once your tip is submitted, you will receive a Case Number to check on your tip. You can also submit your tips to Crime Stoppers using the P3 App. Tips are routed through an encrypted service, so your identity is fully protected. Once you’ve submitted your tip, you will receive a Case Number that allows you to follow up on your tip and your potential award. 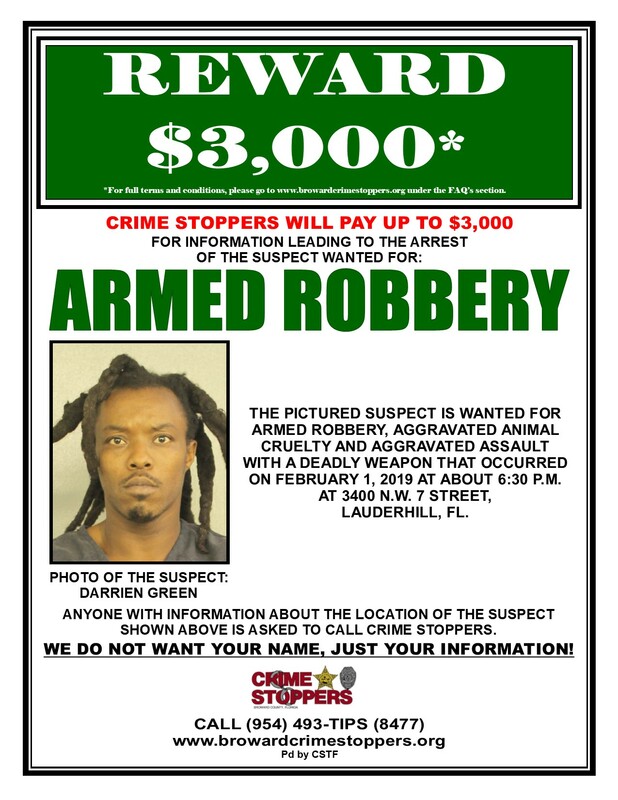 Crime Stoppers Council of Broward County, Inc. is a tax-exempt, non-profit organization pursuant to section 501 (c) (3) of the Internal Revenue Code and is a registered charity with the Florida Department of Agriculture & Consumer Services—Registration #CH8416. A COPY OF THE OFFICIAL REGISTRATION AND FINANCIAL INFORMATION MAY BE OBTAINED FROM THE DIVISION ON CONSUMER SERVICES BY CALLING TOLL-FREE WITHIN THE STATE: 800-435-7352 OR ON THE INTERNET AT WWW.800HELPFLA.COM. REGISTRATION DOES NOT IMPLY ENDORSEMENT, APPROVAL, OR RECOMMENDATION BY THE STATE.